WhatsApp introduced a new feature recently that showed two blue checkmarks next to messages when a message was read by recipients. 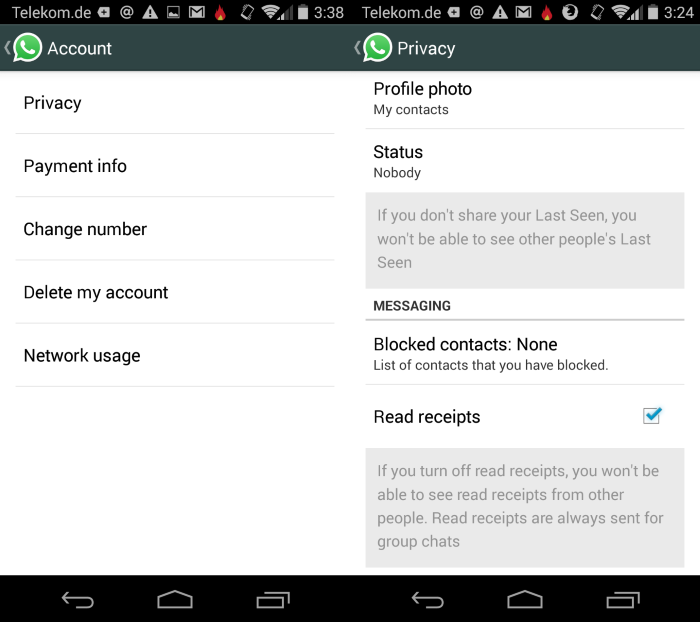 Now the newest version of WhatsApp for Android (version 2.11.44) allows you to disable the new receipts under the privacy section of your settings menu. Since it is a small touch, but its really nice to see WhatsApp giving users additional control after some initial backlash from those who wanted more privacy. The new update is still in its beta version, but is soon expected to be rolled out for all platforms.